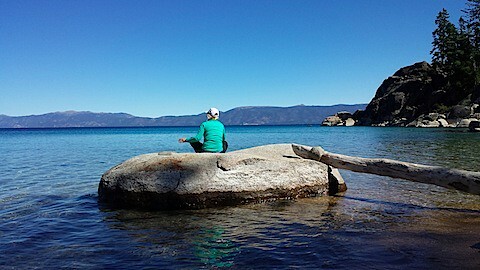 After finishing Tahoe I gave myself a full week off to do nothing but enjoy life, let my body heal and not think about training one little bit. I felt great, I had a lot of extra time that I mostly spent relaxing, with a little holiday decorating, baking and working thrown in. 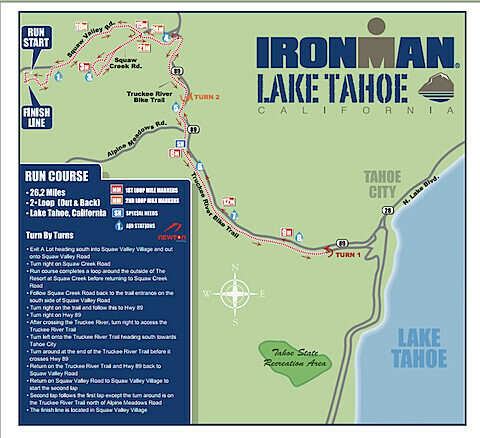 THe second week after Tahoe I worked out a little but just what I wanted to do, weight training here, trail running there but not on any schedule. WHile I enjoyed the break I am starting to crave a schedule again, I take this as a good sign that I am doing a good job at the mental side of recovery. I will take one more week of working out when I want to but try to get in a little more so it won’t be too big of a shock. 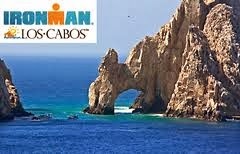 Then I will get back to work, because I have three big A races that I am already registered for next year. First up will be my first crack at an ultra distance trail race. 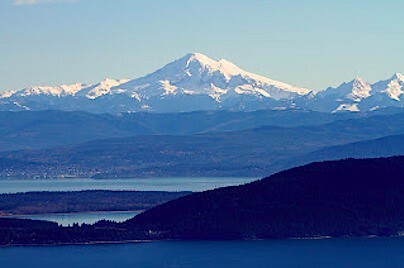 Cory and I signed up for Orcas Island 50k in Washington on February 1st. I am so excited to spend more time on the trails this winter with Cory. 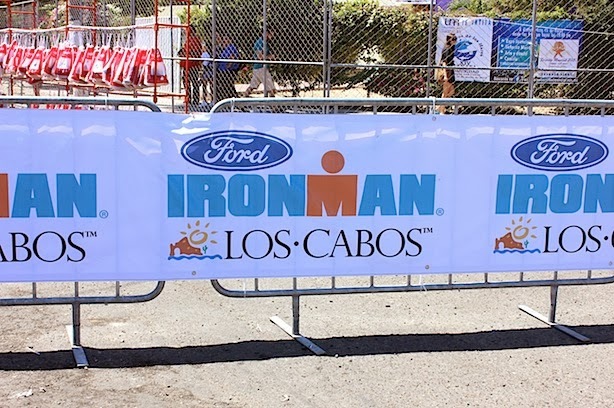 Next up will be Ironman Los Cabos in Mexico, I was lucky enough to spectate last year and when I got 20% off for participating in Ironman Lake Tahoe the deal was sealed. On March 30th I will be toeing the line myself. 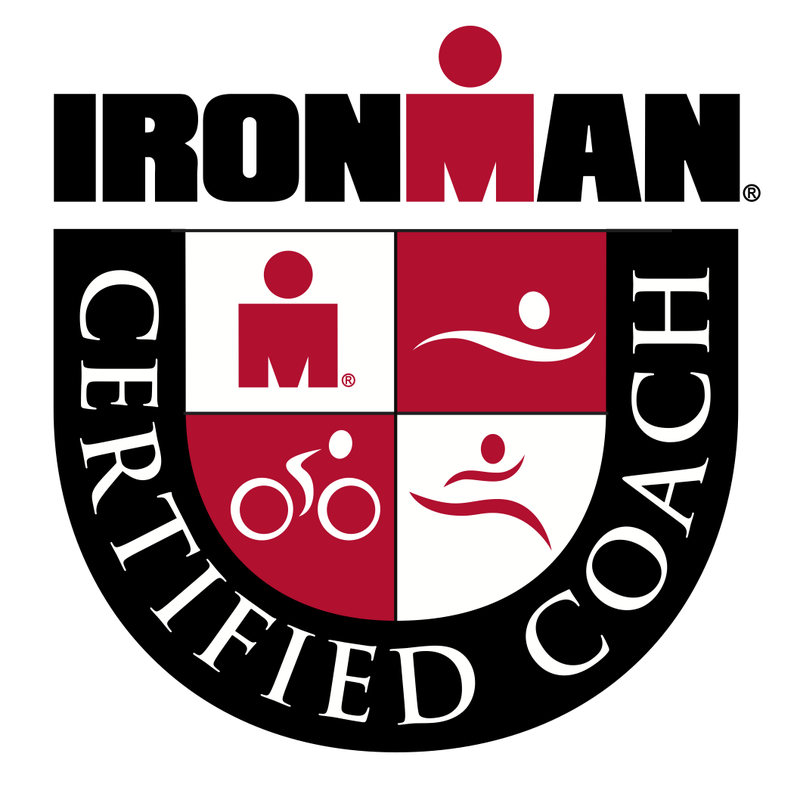 Lastly I will participate in Ironman Canada in Whistler on July 27th. After seeing all the photos and reports from this year I am excited for my turn to participate in this race. After that I think I would like to do more trail running, maybe even a 50 miler, but I will wait until after Orcas to see how I like the distance. So there it is, any big plans for 2014? 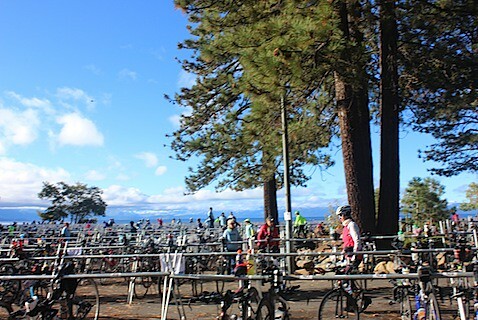 In case you missed it you can read about Race Prep here the Swim here and the Bike here. 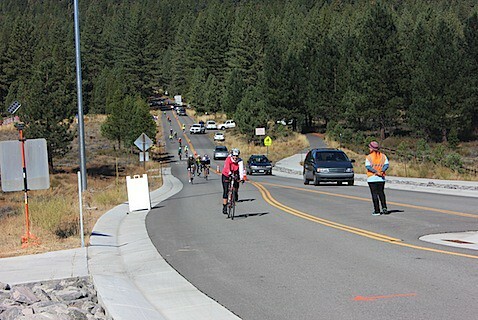 Once I got off the bike I was greeted with very helpful encouraging volunteers. I was very shaky and could barely walk at first, luckily I had support from a very bossy volunteer that rushed me thought T2 like the tent was on fire, she didn’t give me time to consider what I was about to go attempt to do. She helped me get out of all my gear and get back into run clothes. I couldn’t think about what I might want to wear on the run so I just ended up putting everything on, this ended up being another thing that turned out well for me. It feels a bit like there were a lot of happy accidents that helped get me out running the marathon before I had time to think about what I was doing. I was still feeling pretty horrible and run down the first mile. I hadn’t had a chance to grab anything to eat in transition while being rushed so I was still bonking pretty badly. I told myself to just jog to the first aid station and figure it out from there. My legs started to loosen up a little I couldn’t be believe how tight they were from being so cold and riding for so long (that is the longest I have EVER been on my bike!). I made it to the first aid station and grabbed chicken broth, coke and a cup of chips. They all tasted SO good, I was obviously craving salt and very calorie deficient. After eating everything I started to feel a little better and was motivated to run to the next station, so I could eat more. I did the same thing at the next aid station. And started to feel like I was getting a little full so even though I wanted to keep eating a bunch I figured I would have different issues if I didn’t slow down my consumption. At this point a couple miles in and some food in my stomach I was feeling ok again. At that point I knew that if nothing else went wrong I could finish the race. I also started talking to people again, thanking volunteers and staying in the moment and enjoying the experience of doing an ironman. 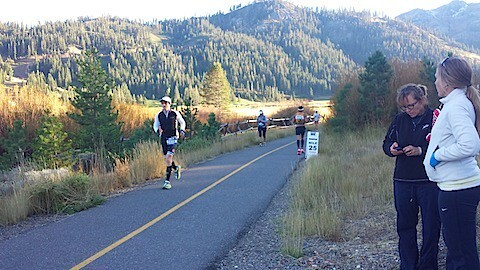 The course is pretty scenic for the first few miles as you make your way from Squaw Valley to HW 89 and there is a lot of spectator support so that was nice. I knew I had dug myself a hole on the bike so I was conservative and methodical about the run. I walked every aid station and any hill that was “steep” I made sure to run all downhills, flats and shallow up hills. By the third mile I had settled in for the long-haul. It was nice to see Cory periodically so I could look forward to seeing him and that really broke up the run. The run is made up of two out and backs with the first significantly longer than the second you run about 17 miles in the first loop and 9 in the second . 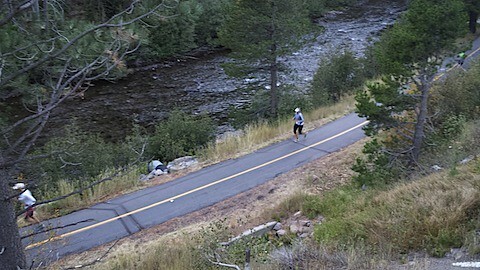 The most scenic part of the run was the portion that you run on the Truckee River Bike Trail right next to the Truckee River. It was beautiful in this section but also very hard for spectators to get to, so it was pretty quite along there. I did get to see a lot of friends due to the out and backs so it was fun to see how great they were doing and cheer them on a bit. When I got to the first turn around it was starting to get dark, they had been handing out headlights but had ran out so some runners were out in the complete dark. Cory was able to get down to the trail fairly close after the turn around so I was able to pick up my head lamp, ear warmers and gloves from him. I was still feeling pretty good but the temperatures were starting to drop and I was getting cold again. As I started to get colder my stomach started to feel off again. I tried hard to take in coke and broth every station but that was a challenge, I did take one gel during the race because I wanted the caffeine, I should have taken more. The volunteers were handing out mylar blankets to runners and people were wearing them as capes and even wrapped around their legs. I was warm enough to go without but I felt so bad for the runners who looked miserable and cold. The volunteers were great, making sure people were ok and handing out steaming cups of chicken broth. It was scary to see people laid out on stretchers being taken off the course because of hypothermia. Around this time I passed a friend of mine who was just wearing a tri-kit she was shivering and looked miserable. I knew Cory had another jacket of mine and some hand warmers so I told her to keep an eye out for him and I would send him back for her. It made me feel good that we might be able to help a little and not just leave her miserable. The rest of loop one trudged on, it was dark so I couldn’t enjoy the view anymore but I did talk a lot to other athletes and everyone was very encouraging. 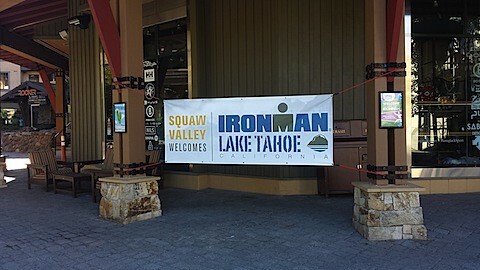 As I got back into the village at Squaw Valley I spotted my parents in the crowd, I knew they had been worried about me so I took a minute to give them hugs and let them know I was alright and would see them at the finish line. It was a little painful to have to run right by the finish line but turn the other way and head back out into the darkness. I was feeling good that the long loop was done and I knew what I had to do. I stuck to my walk/run plan although my definition of “steep” hill was a little looser at this point. By the time I was heading back for the last time I knew that I was going to make it and was ready to be done, it was getting colder and a mist was coming off the lake that hurt my lungs at every breath. Ironman projected a giant M-dot shaped light on the mountain, I could see it from a couple miles out, it was a great reminder that I just needed to get it done. Running into the village the last time I started to get the elated, happy, energized feeling, I knew I was almost there and I couldn’t believe I had stuck with it all day. I saw Mike Riley even gave him a high five but just like at Coeur d’Alene I couldn’t hear him call me an ironman. Guess I will just have to keep doing these things until I actually hear it! 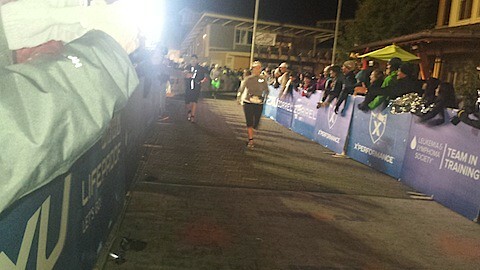 There really is nothing else in the world like the finish line of an Ironman. This post is already really long so I will save post race and reflections for later. In case you missed it you can read about Race Prep here and the Swim here. This is the part of the report I wish I could skip, the bike ended up being a little bit of a dark place for me, but I will keep it real that Ironman isn’t always 100% sunshine and roses. I was feeling great leaving the swim, I had a great time for me but more importably I felt great and really enjoyed myself. As I made my way out of the water, up the sand and into T1 I was getting really cold and it was really painful to run on my freezing feet. Kind, amazing, wonderful volunteers helped me get my bag and out of my wetsuit. As I made my way into T1 I ran into a wall of bodies. The tent was FULL of bodies there was NO room, people were making full changes in the doorways and doing whatever the could to find room. I was planning on making a full change so that I could have dry clothes on the bike so I was hoping for a little volunteer help. Ladies you know how hard it can be to get a sports bra on when you are damp, couple that with barley working freezing hands and it is near impossible. I think there was a few issues with transition, partially it was just not a big enough space and partially people were taking longer to warm up so there were just more of us in there at one time. I finally found about a square foot to change (no volunteer, no chair) I got myself as dry as possible changed with the help of a fellow athlete who needed help as well. I got all my layers on, stuffed everything in my bag hoping I didn’t forget anything and moved to the exit trying really hard to not step on anyone. I waved at my family, tried to make sure everything was sitting right and took off. I started out feeling happy but my legs felt stiff and slow. I hoped that I would warm up and start to feel more normal as we went. Unfortunately the course starts with a long, gradual downhill that wasn’t helping me warm up. I was chatting with other athletes and trying to settle in. 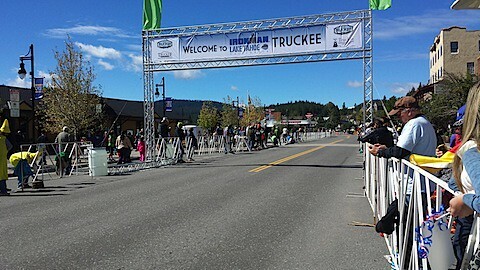 I felt pretty good through Truckee, saw Cory let him know I was feeling pretty good. Then things started to get a little shaky. I started to feel a little nauseous on the first climb, that got worse on the second big climb. The one cool part of that loop was getting lapped by the pros on a climb it was awesome to see how great they were doing. I wasn’t feeling well and couldn’t stomach eating anything so I pushed on hoping that some downhill would help me feel better. I wasn’t eating so I was getting a little bonky and slowing down. I was feeling pretty negative and stopped talking to people as much. There was a point that I felt like I was just done, I didn’t want to ride my bike anymore. On the second loop I told myself all I had to do was get to Cory then I could quit and not have to do the two big climbs again. I wasn’t able to eat anything so I thought my day was done. I got to Cory outside of Truckee pulled over and told him I thought I was done and couldn’t eat. He felt horrible for me but was supportive. He made the one comment that kept me going, he said “if you haven’t been eating there is no way you will be able to run a marathon”. It hit me then that I felt like I COULD run a marathon, I wasn’t broken physically, who quits 80 miles into an ironman bike, Not me I thought. I knew I might get pulled from the course but I wouldn’t quit as long as I could keep moving. So I told Cory I would do my best to get back up over the big hills and just see how it went, I wasn’t happy about it, I was hurting, but I was going to try. After leaving Cory I did my best to put my head down and keep climbing. 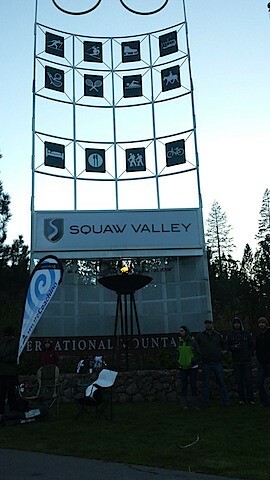 I got to the top of Brockway summit and thought I could make it back to Squaw Valley but I would have to push it. I did my best to focus push the last 20 miles. I had never really warmed up and it was starting to cool down again, especially in the valley. I made it to T2, a little shocked that I had gotten there. I can’t really explain what went so wrong on the bike, I had trained for the hills and at elevation so I can only imagine that the cold had something to do with it. But I can’t explain why I got so sick and stayed sick from 30 miles into the ride on. Something to figure out for the future. 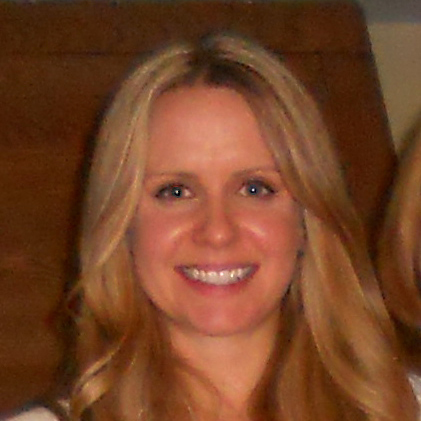 Up next the Run – promise it gets better! Because we stayed very close to T1 near Kings Beach I was able to get up a little later at 4am. I had most things ready to go the day before so all I had to do was eat, drink some coffee and get dressed. 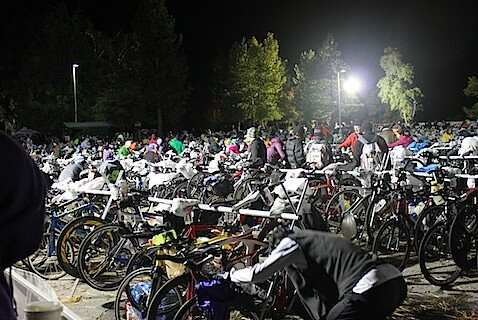 It was a little crazy to put on a goose down coat, hat, gloves and uggs for a triathlon. The temperatures were in the low 30s. But it was calm and not raining so it looked like the race would go off at the full distance. There were rumors that the race would be softened to 1.2 mile swim, 15 mi bike and 26.2 mile run. It was pretty crazy in transition and a little difficult to get around for athletes and spectators. I think this small beach area was too small for the number of competitors even with 20% of the field not showing up race morning. I didn’t leave any food or liquid on my bike overnight, and I was glad since others had frozen bottles and bars. After loading up my bike I added hand warmers to my bike shoes so they would be nice and warm once I got to transition. After finishing my prep work it was time to get into my wetsuit, and hand off my stuff to my family. I left my sandals on to walk to the start because the sand was so cold that it hurt my feet. 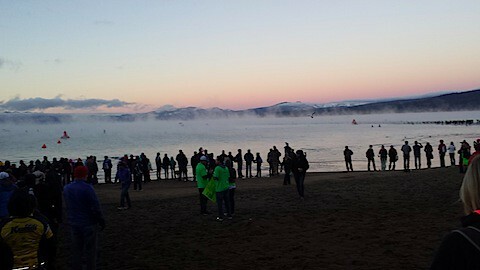 Ironman Lake Tahoe was using the swim Smart Start instead of the mass start. I thought it worked really well. We lined up by predicted finish time and were funneled through the start arch. It went fairly fast but this beach is fairly shallow so it took a little while to wade out deep enough to start swimming. The swim was by far my favorite part of the day, the water was in the low 60s so chilly but not cold. 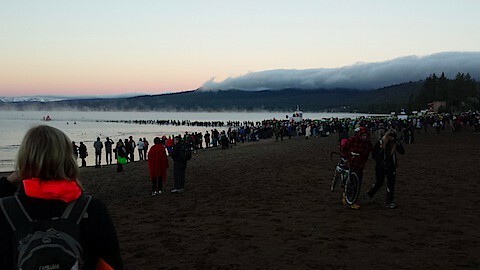 It was so clear and beautiful, I had a little contact from other swimmers but nothing compared to a mass start. It was a little hard to sight the first lap given all the mist. It was hard to find the buoys but it was incredible to see so much in the water and the snow capped mountains. As usual the turns were a little slow and people decided to walk the turn to the start of the second lap in the water. I wanted to swim so a popped up to clear a little water out of my goggles then started swimming again. On the second lap the sun came out and the water was even more clear, it was surreal. I tried to take it all in and really enjoyed this swim more than any other race I have ever been in. I found some great feet to follow and was pulled in. I was pretty happy with my swim, no cramps and I felt like I kept it nice and easy. 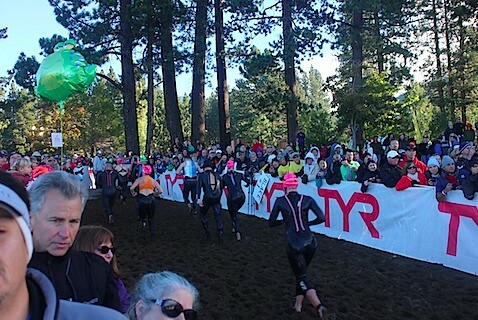 I got out of the water and my feet immediately started to hurt from the freezing sand as I headed towards T1.